Bossen Field Park Building Improvements	Building improvements to rehab the existing park building and construct a new maintenance garage are being designed in an effort to continue the implementation of park amenities from the Bossen Field Park Master Plan. These building improvements were first looked at back in 2016 during the design of phase one athletic field and site improvements. At the time NPP20 funding was not available to cover costs for the building rehabilitation. Phase one athletic field and site improvements included the construction of 6 new softball fields, a full size basketball court, new playground, 2 large open field play areas, field lighting and site access upgrades. 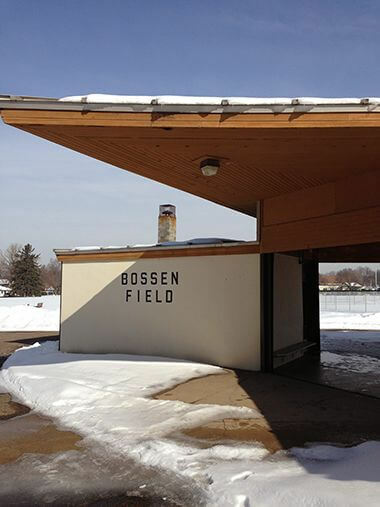 Bossen Field Park is a 37 acre park on the south edge of the city which serves as a citywide athletic facility and neighborhood park. Prior to the 2016 phase one improvements, the park was last updated around 1980. Improvements to accessibility and safety updates need to better meet current city wide needs and neighborhood desires. The Park is fully bounded by city streets and makes up an eight block parcel. The land was acquired from the state as tax forfeiture and was originally low land, what we would consider wetland today. The land was filled with material from the airport construction, just to the south of Hwy 62, but that did not bring in enough to fill the land, so it was opened as a public dump to acquire more fill. These areas will undergo environmental investigation and may require cleanup before the park is re-developed. The park building is shaped like a triangle overlapping a “Y”. It has three freestanding wings, with a roof covering them all leaving a covered open space in the middle. Originally the space in the middle could be closed with rolling doors, but the doors no longer function. The restroom wing on the east side has a men’s and women’s restroom with a single stall each and a utility closet. 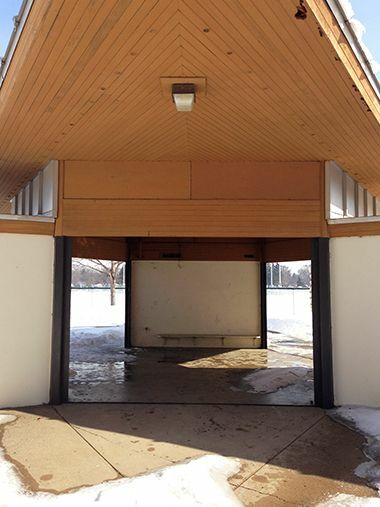 The restrooms are very worn and are not ADA compliant. The west wing was once an office, but is now used for storage and has the pool chemical room. The south wing is used to store maintenance equipment and supplies. The building is unheated and seasonal. 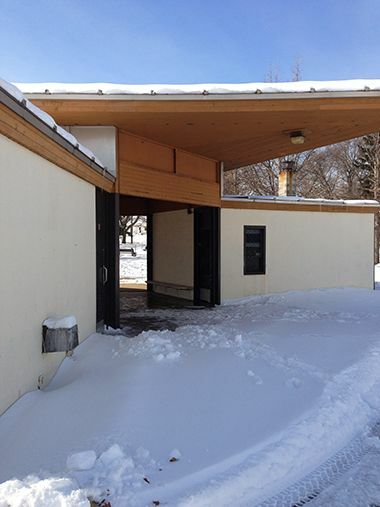 Funding for improving the existing park building will come from NPP20 rehabilitation dollars. 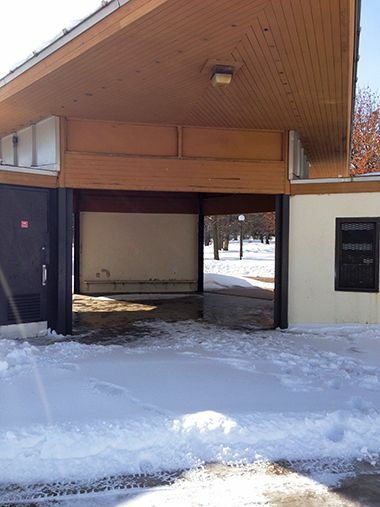 Funding to hopefully cover the cost for the maintenance garage will come from remaining project funding from the phase one improvements.